This handful of crystals is just a small portion of the production we saw during our short visit to the Cruzeiro mine. These multicolored crystals range from rubellite to green, with black terminations. Photo by Andrew Lucas/GIA, courtesy Cruzeiro mine. 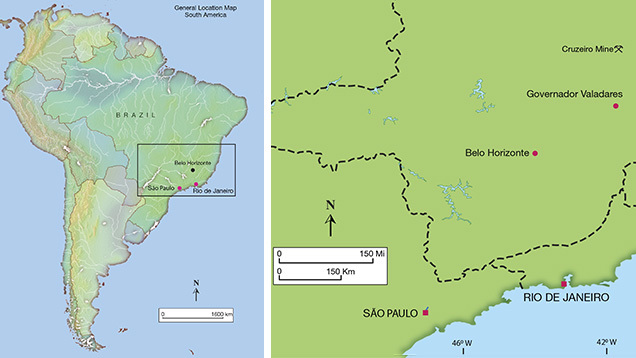 In April 2014, a team from GIA visited major emerald and tourmaline sources in Brazil. One of the most exciting mines the team visited was the Cruzeiro tourmaline mine in the state of Minas Gerais, about two hours outside the city of Governador Valadares. 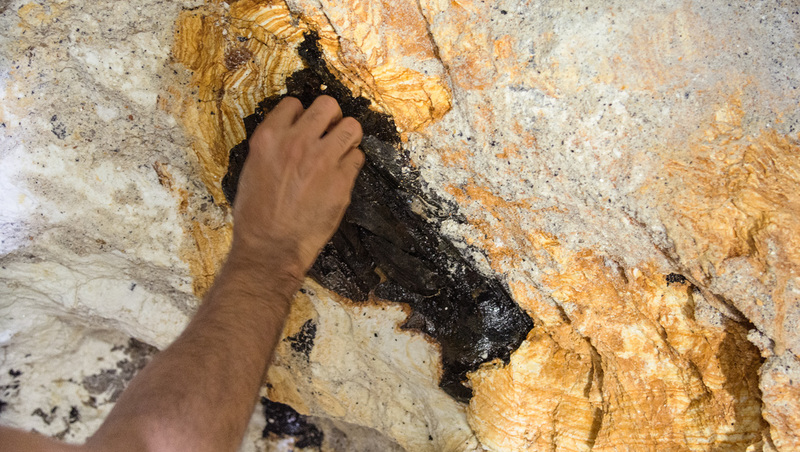 Although the authors had been to many gemstone mines, the size of the mine’s gem-bearing pegmatites and veins and the quantity of tourmaline being produced made this one of the most prolific gemstone mines visited by GIA. You don’t often get a chance to see large, impressive crystals being constantly hauled out of a mine tunnel, with walls and pockets mined with picks and by hand. The tourmaline crystals seemed to be just laying embedded in the enormous pegmatites, waiting to be removed. The Cruzeiro tourmaline mine is blessed with magnificent surroundings. Its owners work the mine in harmony with nature. Photo by Andrew Lucas/GIA, courtesy Cruzeiro mine. The other visually striking aspect of this mine was the beauty of the setting and surroundings. The Cruzeiro mine is on a mountain, with a lush green landscape lining the road leading up to it. 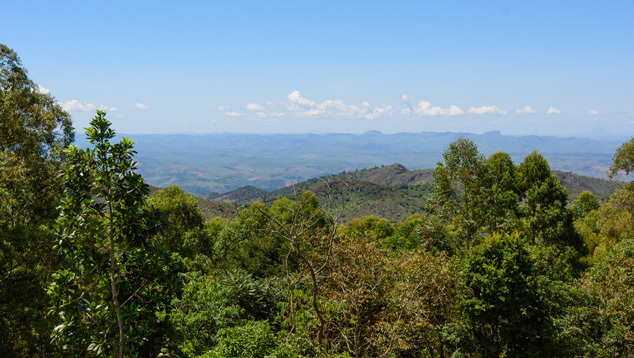 The mine location itself offers a spectacular view of hills, mountains, sky, and greenery. The Cruzeiro mine is located about two hours outside of Governador Valadares in the State of Minas Gerais, Brazil. As far back as the mid-sixteenth century, the Portuguese were searching for emeralds. 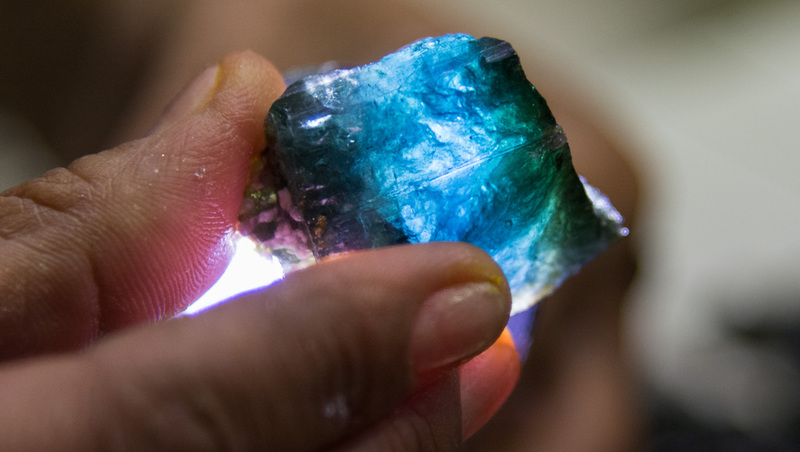 They thought they had discovered them in Brazil, but what the so-called bandeirantes had actually found was green tourmaline. During the seventeenth century, a Portuguese explorer documented the gemstones found in the area where the Cruzeiro mine is now located. By the 1800s, the government’s will was strong to discover more of Brazil’s mineral wealth, including gold and precious stone deposits. When explorations in the Minas Gerais area revealed the presence of green tourmalines, explorers again initially thought they were emeralds. This belief led to much interest in further exploration of the area. The actual mine deposit in the Cruzeiro area is said to have been discovered in 1915, and the first mining lease was established in 1938. In the 1940s, the US government was greatly interested in exploiting the mica deposits of the area for the war effort. The American company mining the mica employed 800 men, producing an estimated twenty percent of global mica production. The closest significant city, Governador Valadares, experienced significant economic growth during the mica mining period. 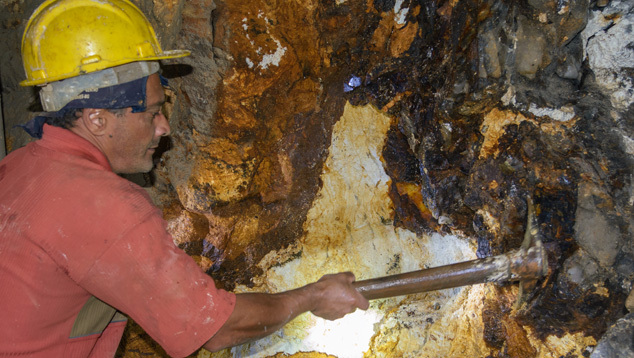 Today, mica is used in a decorative display at the Cruzeiro mine. In the war-time 1940s, it was of major strategic importance. 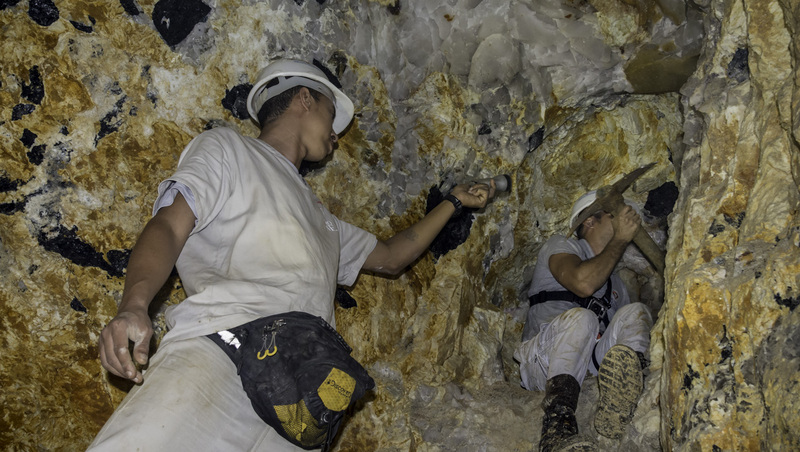 Photo by Duncan Pay/GIA, courtesy Cruzeiro mine. Mining for tourmaline began in the 1950s when Jose Neves and his brother Antonio De Assis Neves started what is now the Cruzeiro tourmaline mine. The brothers had been mining mica in the area and taking it to Governador Valadares to sell. They also bought and sold the production of other mica miners. 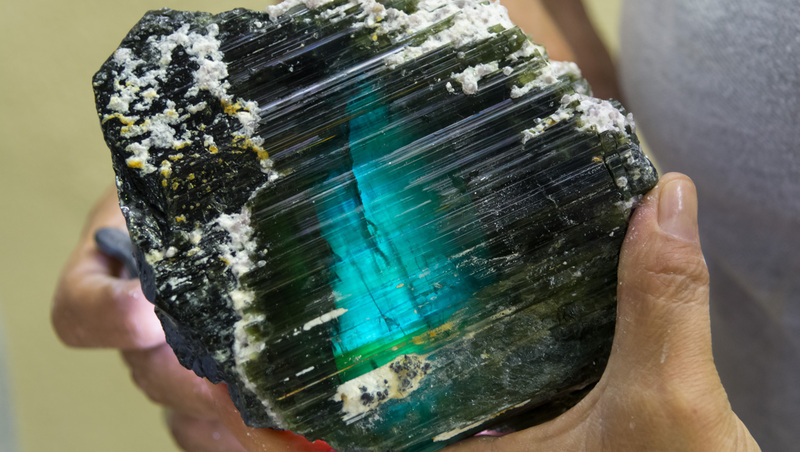 As the market for mica softened, the brothers started mining and selling tourmalines. At first they were only interested in large, clean tourmaline crystals. As a result, much of the production that was disposed of in waste piles might contain useable material today. The brothers also began cutting and selling tourmalines, as they were interested in moving farther up the value chain. Not long after they became tourmaline dealers, they caught the interest of Julius Sauer of the world-famous Amsterdam Sauer gemstone and jewelry company. Mr. Sauer bought a large portion of the mine’s tourmaline production, then also bought the mine. Mr. Sauer worked the mine for about 15 years during the late 1960s through early 1980s. He then offered it for sale to Jose Neves, who was working for Mr. Sauer, buying tourmaline in the area and in Teofilo Otoni. Jose Neves sold everything he owned and invited his brother Antonio De Assis Neves to partner with him in the mine, which they purchased in 1982.
important product. Photo by Andrew Lucas/GIA, courtesy Cruzeiro mine. At the time, Julius Sauer advised Jose Neves not to take too many risks, as gemstone mining is a very uncertain business, and you never know for sure what you are going to get. But Jose Neves believed strongly that this would be an extremely rich mine and pursued mining it with all the energy and resources he could muster. 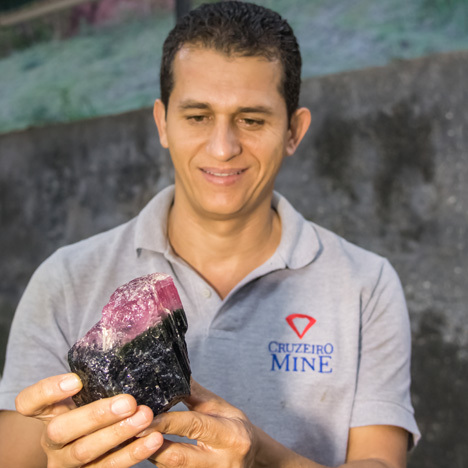 One month after the warning by Mr. Sauer, Jose Neves hit a big deposit of pink tourmaline. 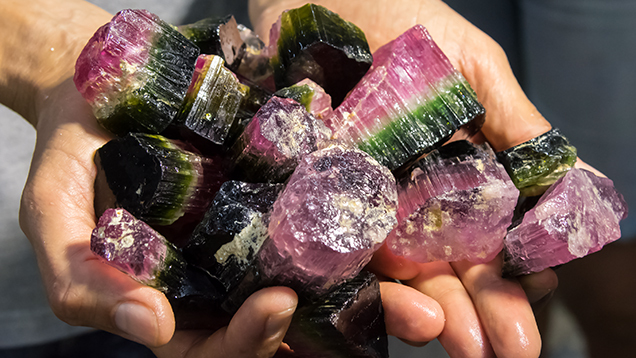 Soon afterward, the mine began producing large amounts of red and pink, green, blue, and bicolor tourmaline, including 26 kilos of very clean rubellite. The family suffered a tremendous tragedy in January 1992, when both Neves brothers died in a plane crash in Brazil. At that time Beatrice Neves, the wife of Antonio De Assis Neves, her son Antonio de Neves Jr., and Douglas Williams Neves, the son of Jose Neves, took over the mine. Douglas was a teenager at the time, but had already spent a considerable amount of time at the mine with his father, where he would mine for tourmaline using a pick. He’d then wash and clean the stones he found and sell them directly to his father. Adding to the event’s tragedy, Douglas’s mother and another aunt also died in the plane crash. Even at that young age, Douglas stepped up and took over running the business with his Aunt Beatrice and her son Antonio. In running the business, Douglas built upon what he learned from his father and followed his own instincts and intuition. 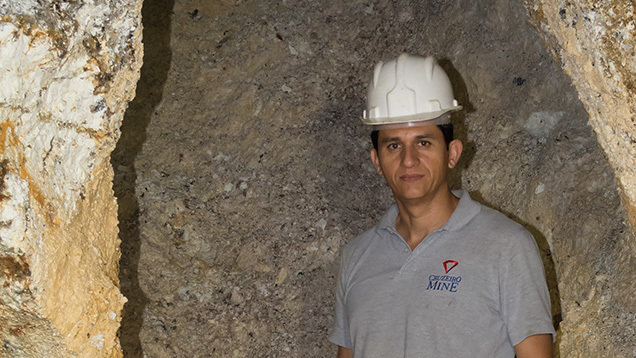 The Cruzeiro mine is truly a family business. It owes its success to the close ties of the Neves family and their will to overcome tremendous tragedy. Photo by Duncan Pay/GIA, courtesy Cruzeiro mine. The mining operation today is very successful, with 150 employees. One hundred of them are miners, and the mine has produced an annual average of more than eight tons of tourmaline over the last five years. This was only possible because these resilient family members came together as a team. 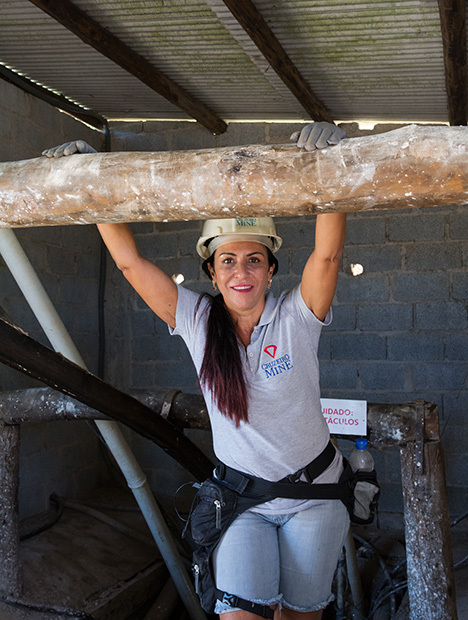 Along with the loyal employees of the mine, they came through their tragedy and built one of the most successful colored gemstone mining operations in the entire world. Cruzeiro is one of the world’s most important sources for gem and mineral specimens. The main mining area is located in the Safira pegmatite district within the Eastern Brazilian pegmatite province (EBPP). 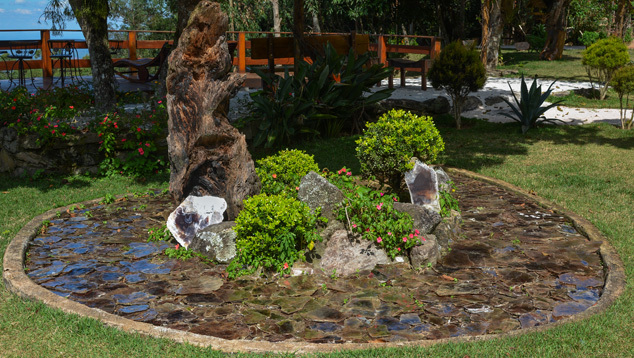 EBPP is one of three important pegmatite provinces, mainly situated in the state of Minas Gerais. The southern part of the state of Bahia and the western margin of the state of Rio de Janeiro are also part of EBPP. 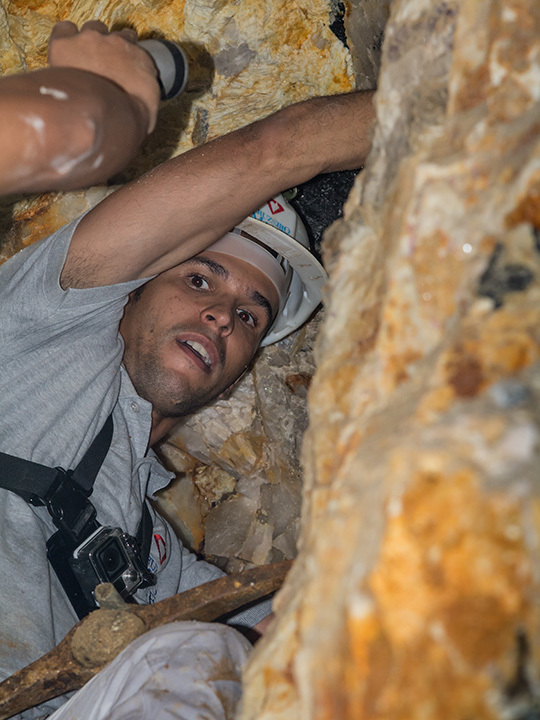 There are thousands of gem-bearing pegmatites in Minas Gerais, and they contain virtually every known pegmatitic gem mineral species. Neoproterozoic collisions (~1000 to 540 million years ago) led to the final formation of the West Gondwana supercontinent and created the Brazilian orogens of South America and the Pan-African orogens of Africa. Orogens are formations resulting from large-scale continental collisions. Numerous economically important gem deposits have been discovered and mined along these so-called orogenic belts. In South America, the São Francisco craton (an old and stable part of a continent), which forms eastern Brazil, is surrounded by a sequence of Brazilian orogenic belts. One of them is the Araçuaí belt, featuring west to northwest-extending thrusts and folds. The Araçuaí belt borders the eastern margin of the São Francisco craton and overlaps with EBPP. 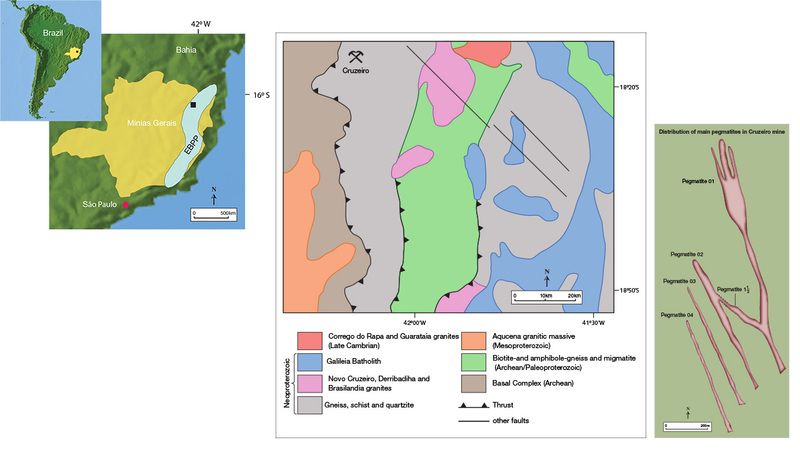 During the post-collision stage (530 to 480 million years ago), bodies of intrusive igneous rocks, called plutons, penetrated the metamorphic rocks of the Araçuaí belt. One of these plutonic rocks is considered the source of many pegmatites containing gem tourmaline, spodumene, morganite, and other gems, plus industrial feldspar and muscovite. Although it is quite common to find large batholiths—emplacements of plutonic rock—in the immediate vicinity of gem-bearing pegmatites, in some areas the plutonic source rocks are not well exposed. The current Cruzeiro main mining area consists of four parallel, largely unweathered granitic pegmatite bodies, identified as pegmatites 01, 02, 03, and 04, and another pegmatite between 01 and 02, identified as pegmatite 01½. There are many other pegmatite outcrops on this property, but the major operation is focused on these four veins. All four pegmatite bodies dip steeply to the southwest and intrude into quartzite (metamorphosed sandstone). The contacts between the pegmatite bodies and the host quartzite are sharply defined. Pegmatite 01 is 1300 meters long and up to 60 m wide. Pegmatite 02 is 900 m long and about 20 m wide. Pegmatite 03 is about 700 m long, with a maximum outcrop width of 8 m. There are no exact dimensions of pegmatite 04 currently available. The maximum width of pegmatite 01½ is so far thought to be about 30 m.
by Andy Lucas/GIA, courtesy Cruzeiro mine. These pegmatitic veins have very similar internal zoning, symmetrically distributed around a quartz core. The zoning contains a very thin border zone, a muscovite-quartz-feldspar wall zone and a quartz-microcline-albite intermediate zone, where the economically important gemstones are found. In the Cruzeiro mine, gem-quality tourmaline is usually found right next to the quartz core and associated with albite rather than microcline feldspar. Massive non-gem garnet is also found in this mine. Speaking with unbridled enthusiasm, Douglas Neves and his Aunt Beatrice described for us the thrill of discovering major tourmaline pockets and crystals. They are ready to come to the mine at a moment’s notice 24 hours a day, and even though they have experienced such moments thousands of times, they feel the same sense of excitement, like a kid receiving his best present, or a parent giving birth to a child. Their first reaction is a desire to keep the tourmaline and never sell it, but the reality is that they must sell their stones to keep the business going. 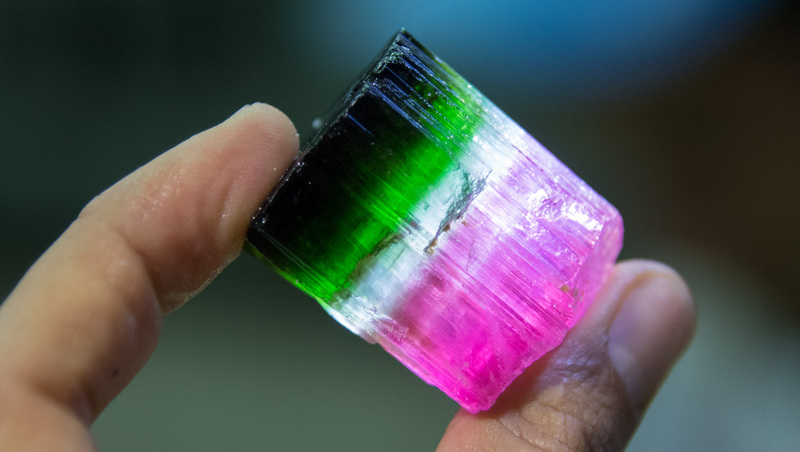 If an important pocket is found, they may work all night to remove the tourmaline crystals, which have become more and more valuable over the last several years, due primarily to the enormous demand in China. For Beatrice and the other family members, the thrill of discovering tourmaline is as strong today as it ever was. Photo by Andrew Lucas/GIA, courtesy Cruzeiro mine. Of the eight tons of annual production, approximately 70 percent is carving and bead quality, 10 percent is clean facet grade, 10 percent is cabochon grade, and 10 percent is suitable for specimens. 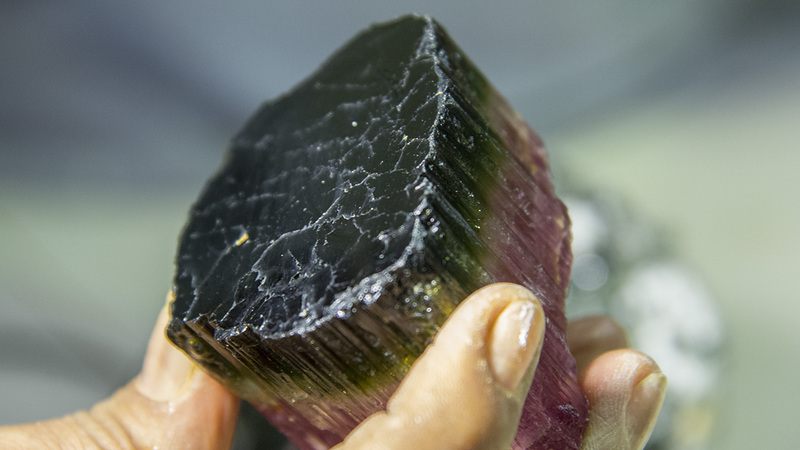 The Cruzeiro mine produces all tourmaline colors. Douglas estimates that green makes up the largest percentage of total production. Pink and rubellite colors make up about 30 percent, and blue about 10 percent. These color percentages are difficult to estimate because many of the crystals are bicolored or multicolored, with crystals commonly going from pink or rubellite colors to green, and terminating in black. The black tourmaline is often highly fractured and sold for industrial uses. 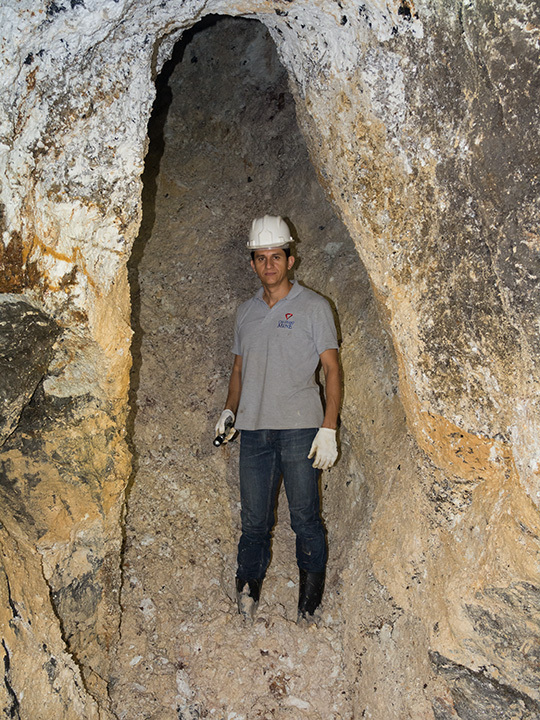 The mine is about 36 miles northwest of Governador Valadares and about six miles from the town of São José da Safira. The latter is named after sapphire, probably due to blue tourmalines found and mistaken for sapphires by early explorers. We drove to the top of the mountain Serra Resplendecente do Cruzeiro, where the mine is located at 4,593 feet. The mine and a small nearby village are both named Cruzeiro, meaning cross due to the presence of a local church. 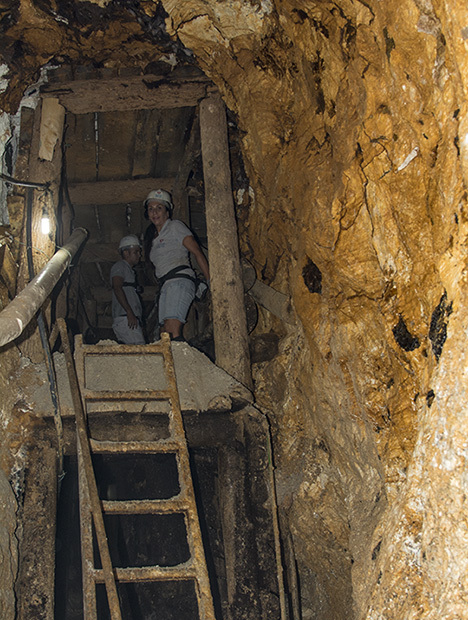 The Cruzeiro mine has an extensive array of horizontal mining tunnels, called galleries, located at different depths. Some of the galleries are very long: One extends to 500 meters. This mine’s pegmatites are enormous. 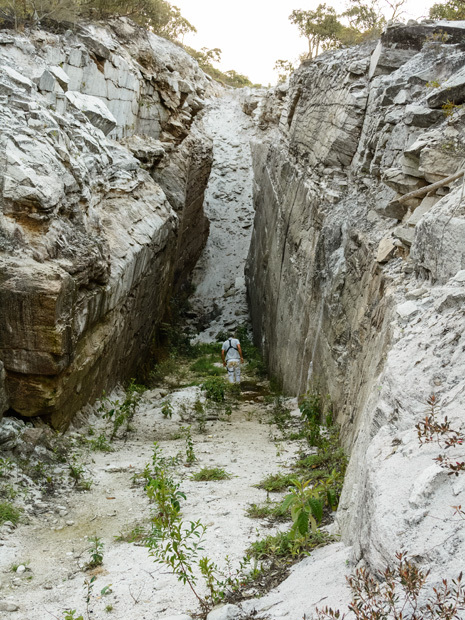 At the deepest mining area, the pegmatite is 32 meters wide and over one kilometer in length. The property itself is close to 3,000 hectares (a hectare is equal to 2.471 acres). The area that is actually being mined is only around 100 hectares, but much of the rest of the property shows promise for successful future production. GIA team. Photo by Andrew Lucas/GIA, courtesy Cruzeiro mine. In 1996, the mining operation was re-structured to incorporate modern mining methods. Currently, Cruzeiro is working three veins. The current mining plan includes a new entrance and new ramp as well as further assessment of all the pegmatites. They evaluate a pegmatite by looking at its central quartz core zone, where they find green tourmaline at the side contact areas. Next to the green zones are pink and rubellite colors, and then mica. Drilling near the quartz core veins, they look for lines of black tourmaline and indicator minerals of lithium, lepidolite, albite, and mica. Besides tourmaline, they also find colorless, white, and rose quartz, aquamarine, morganite, and red garnets. However, tourmaline is the focus as it’s the most economically important gemstone mined here. These tourmaline crystals are attached to a section of the quartz core vein. Photo by Andrew Lucas/GIA, courtesy Cruzeiro mine. In some areas of the mine, the tourmalines are scattered throughout the walls of the pegmatites in a pattern they call staining. In other areas, the tourmaline crystals are in pockets, some of them massive. The crystals are extracted from the walls and pockets with a pick, often followed just by hand tools. The processing stage is simple and uses classic methods. The rough is washed by hand in wire baskets submerged in large drums of water. Manipulating the baskets in a circular motion allows the water to wash away the smaller pieces of lighter overburden, leaving larger crystals behind. 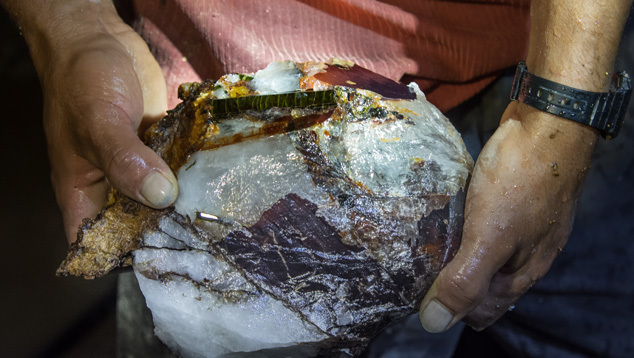 While we watched, several large tourmaline crystals were recovered. Many of them were multicolored, with red-to-pink rubellite transitioning to green, and with black terminations. Some of the crystals were quite large. There were also large blue and green crystals. After washing, the crystals were cleaned further and some were rolled in newspaper for protection, a common technique that’s used especially for specimens. While the washing equipment and procedures were very basic, they accomplished the task of removing the overburden, leaving behind the easily seen tourmaline crystals. Photo by Andrew Lucas/GIA, courtesy Cruzeiro mine. The mine owners are rejoicing at the current demand for tourmaline in the global market. The mine produces all colors of tourmaline, so they can take advantage of the fact that all colors are in demand. Demand is especially strong for rubellite and bicolor varieties, with strong demand for greens, followed by blues. One of the main tourmaline consuming countries is China. This has been especially true with rubellite and now is also true for bicolors, greens, and blues. These faceted rubellites were cut at the Miranda Group Co. Ltd. factory in Shenzhen, China. They are being sorted in the Group’s Hong Kong office. The rough came from the Cruzeiro mine. Photo by Andrew Lucas/GIA, courtesy Miranda Group Co. Ltd. 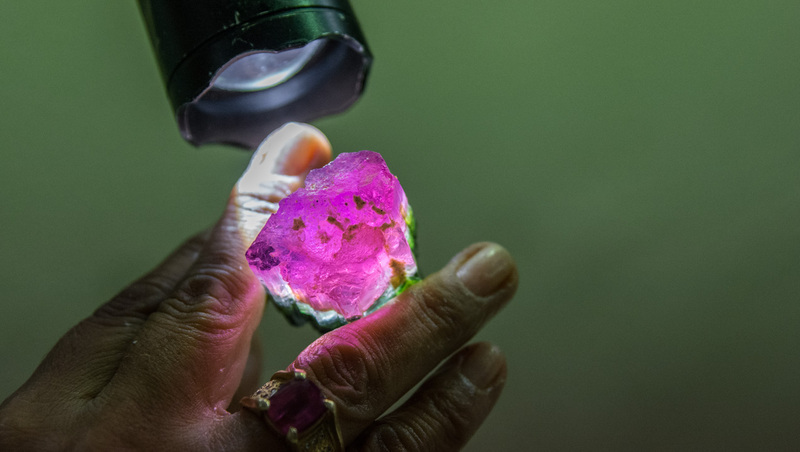 The Cruzeiro mine works with Miranda Group Co. Ltd., which cuts their rubellite tourmaline and markets it through KGK, a global diamond, colored stone, and jewelry wholesaler. KGK markets the majority of the rubellite in China. The Miranda Group saws the rough at their Hong Kong office and then sends the sawn rough for finishing at their factory in Shenzhen. KGK then handles the sale of the finished rubellites. The company also sells rubellite jewelry in China. The Miranda Group Co. Ltd. cuts the rubellite from the Cruzeiro mine at their factory in Shenzhen, China. Photo by Andrew Lucas/GIA, courtesy Miranda Group Co. Ltd. The majority of Cruzeiro production goes to China. 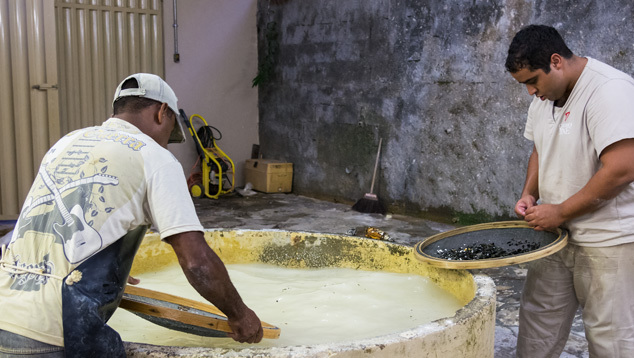 Cruzeiro itself cuts the green and blue facet-grade material in Governador Valadares and sells the finished stones in the wholesale market. Cruzeiro sells carving, bead, and cabochon-grade rough into the China market for manufacturing. Describing the changes in the price of tourmaline over the last five years, Douglas says, “When I think about the prices I sold tourmaline for five years ago, I did not sell it, I gave it away.” Five years ago it would have been difficult to get $1,000 a kilo for carving and bead-grade rough tourmaline, while today he can easily get $7,000 a kilo. Facet-grade green tourmaline that was selling for ten to twenty dollars a gram five years ago, now sells for $150 a gram. All colors and grades of tourmaline have risen significantly in demand and price. 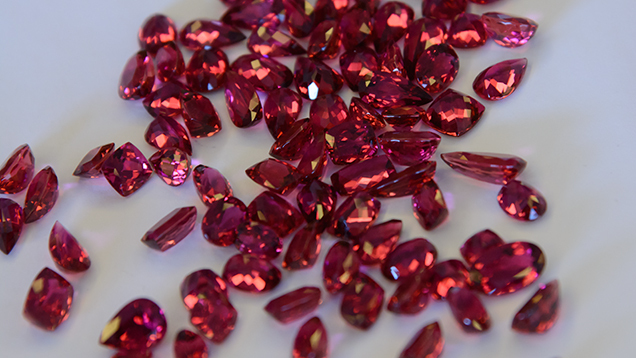 This is especially true for large, clean, fine-color rubellite. Photo by Andrew Lucas/GIA, courtesy Miranda Group Co. Ltd. These increases in the selling price are offset by increased production costs. Costs of labor, fuel, equipment, environmental regulations, etc., have risen significantly over the last five years. Also, the value of the Brazilian currency—the Real—has risen significantly against the dollar. This was difficult for the entire Brazilian gemstone and jewelry industry since their costs are in Reals and their sales on the international market are in dollars. This reversed a bit in the last two years, with the Real going from approximately 1.5 to 1 dollar in value. During our visit, there was a drop in value to 2.4 Reals to the dollar. The massive production from the Cruzeiro mine also helps it to compensate for increasing production costs. While the price of and demand for tourmaline has been rising, mining costs in Brazil have also been going up. Photo by Andrew Lucas/GIA, courtesy Cruzeiro mine. When describing the mine’s future, Douglas informed us that they are planning to turn it into a ramp-style mine. The ramp will start at the surface and cut across all five main pegmatite veins currently being mined, plus one more they are planning on mining. Shafts will extend upward from the ramp so they can bring the material down to the ramp and haul it out by truck. With over 95 percent of the property not being mined and large areas showing strong production potential, the future yield of the mine looks strong. Douglas told us that his father always said that his grandchildren would be mining tourmaline at Cruzeiro. Andrew Lucas is manager of field gemology at GIA in Carlsbad, California. Duncan Pay is editor-in-chief of Gems & Gemology and director of content strategy at GIA in Carlsbad. Tao Hsu is technical editor of Gems & Gemology. Shane McClure is director of West Coast identification at GIA's Carlsbad laboratory. Pedro Padua is the video producer at GIA in Carlsbad.